What a banner year it’s been for black weirdos. Atlanta is a favorite for the Emmy for best comedy series. Boots Riley’s directorial debut, Sorry to Bother You, a surrealist screed on the evils of capitalism, has been well-received at the box office and by critics alike. Janelle Monáe released her latest album, Dirty Computer, with an accompanying film that revels in Afrofuturistic sexual fluidity. 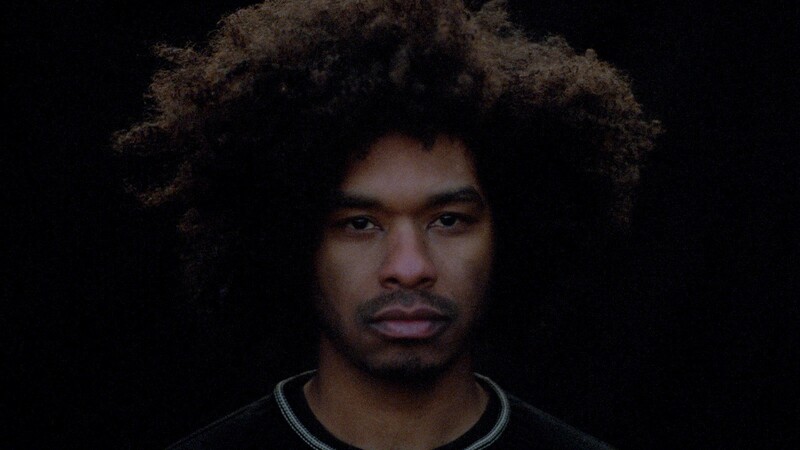 If ever there was a year in which audiences have been primed to receive the multitudes contained within the mind of Terence Nance, it’s 2018. Friday night marks the halfway point for the first season of his latest project, a six-episode variety show for HBO called Random Acts of Flyness. It’s a collection of shorts, animation, archival footage and surrealist fantasy from one of America’s most deliciously subversive auteurs. Random Acts of Flyness is a meditation on freedom: where it exists, where it doesn’t and everything black people encounter in pursuit of it. The show is like a kaleidoscope, shifting perspectives from a man accosted by police to frustrated nonmonogamous girlfriends to adherents of Afro-Latino machismo to black bisexual men and their relative invisibility. One segment stars a black woman playing a video game that allows her to shoot at street harassers and white women who ask if she attended the Women’s March in Washington, D.C.
For all its oddities, it’s never pretentious. When Nance marries the thinking behind Nell Irvin Painter’s The History of White People with his own trippy imagery, the result is unexpectedly funny, like mixing Adult Swim programming with a doctoral course in critical race theory. Nance had been kicking around ideas for the show since at least 2006. By 2016, when he shot White Thoughts, Hamm playing Donald Draper on Mad Men had become an avatar for Peak White Man. The short is mirrored by another cheeky segment: “Black Thought’s black thoughts,” which features lyricist Black Thought of The Roots sharing, you guessed it, his black thoughts. After carrying around these ideas for so long, he’s eager to see how the later episodes will be received. Nance, 36, made a splash at the Sundance Film Festival in 2012 with his debut feature, An Oversimplification of Her Beauty. The project boasted an array of notable producers, among them Jay-Z, Wyatt Cenac, Dream Hampton and Hank Willis Thomas. Since then, besides Flyness, Nance has turned out a series of impressive experimental shorts, inspiring both wonder and worry. Wonder at Nance’s singular aesthetic, and worry that it would languish in indie obscurity. And then pop culture caught up with where Nance has been all along. Now, he faces a different dilemma: holding on to his vision as he becomes famous. According to trade publication The Wrap, Nance will likely be the director of Space Jam 2, which is slated to star LeBron James, who signed a production deal with Warner Bros.
Terence Nance made a splash at the Sundance Film Festival in 2012 with his debut feature, An Oversimplification of Her Beauty. The project boasted an array of notable producers, among them Jay-Z, Wyatt Cenac, Dream Hampton and Hank Willis Thomas. Right now, Nance is straddling a line between cool indie director and Possibly The Next Big Thing, with HBO as the conduit between the two worlds. When it comes to celebrating new projects, the premium cable network specializes in chic, splashy Manhattan parties — the premiere event for Fahrenheit 451 took place at Tao, the fancy pan-Asian spot that gets mentioned in rap lyrics. But at Nance’s request, an event screening the second episode of Random Acts of Flyness took place at the Weeksville Heritage Center in Brooklyn. It’s a museum dedicated to preserving and curating the history of one of the oldest communities of free black people in the country. Nance circled through the party in a cotton cornflower blue T-shirt, matching blue-and-white patterned pants and sandals. He sported blue and orange polish on his toes, and his fingernails were smudged with an iridescent turquoise, set off with gold on his lunulae. The crowd was a mix of eclectic Brooklyn black bohemia, actors and other creatives. Ryan Jamaal Swain, one of the breakout stars of the FX drama Pose, was in attendance. So was Carrie Preston (True Blood, The Good Wife, Claws) and her Claws castmate Jenn Lyon. Aside from his aesthetic, Nance stands out for his lack of ego, which is atypical for directors. But he spreads the credit around for Random Acts of Flyness. The second episode boasts multiple directors, which is unusual for a half-hour of television. At Weeksville, Nance seemed almost embarrassed to take credit, insisting that his collaborators join him for a Q&A on the episode. “It’s cold up here!” he joked from the lectern. And so the director Naima Ramos-Chapman (And Nothing Happened) and others joined Nance to discuss “Nuncaland,” Ramos-Chapman’s commentary on patriarchy and Peter Pan. They shot the dance-heavy vignette in a Flatbush warehouse just feet from where Ramos-Chapman grew up. In a different segment about gender nonconformity, Nance shot participants in a room that contained a wall of mirrors. The people in the segment didn’t have to speak directly to the camera but could instead film themselves with a phone while the director shot them filming themselves. It made for a noteworthy twist on perspective. Nance has assembled a creative collective that moves with him from project to project. It includes Ramos, Nance’s brother Nelson Mandela Nance, 195 Lewis director Chanelle Aponte Pearson and Afronauts director Frances Bodomo. The result is a sense of continuity, random though the subjects may be. That core group may ensure that Terence Nance remains Terence Nance, and he’s more than happy to acknowledge that.